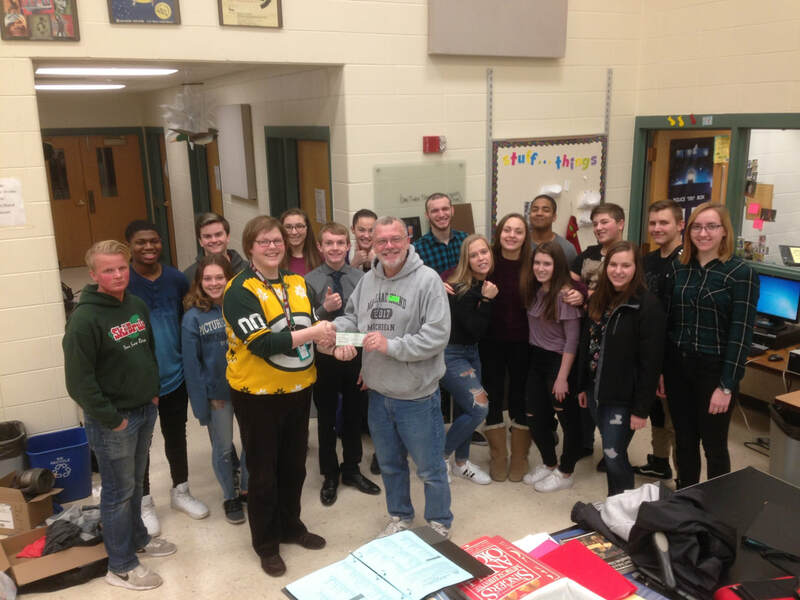 John Dessart, Baylander Barbershop Chorus board member presented a check for $750 to Sarah Holub, vocal music director, and students of Preble High School. The students performed at the Cabaret Dinner Show in November. The Baylanders wanted to show their appreciation and support for music programs in our area schools.